I made these meatballs, unsure of how they would be accepted by the family. To my surprise, everyone loved them! They can be made into meatballs or burgers and can be frozen either raw or once cooked for a quick and easy go-to. Just a fair warning, they turn green once processed, but they taste so delicious that no one will notice after the first bite. 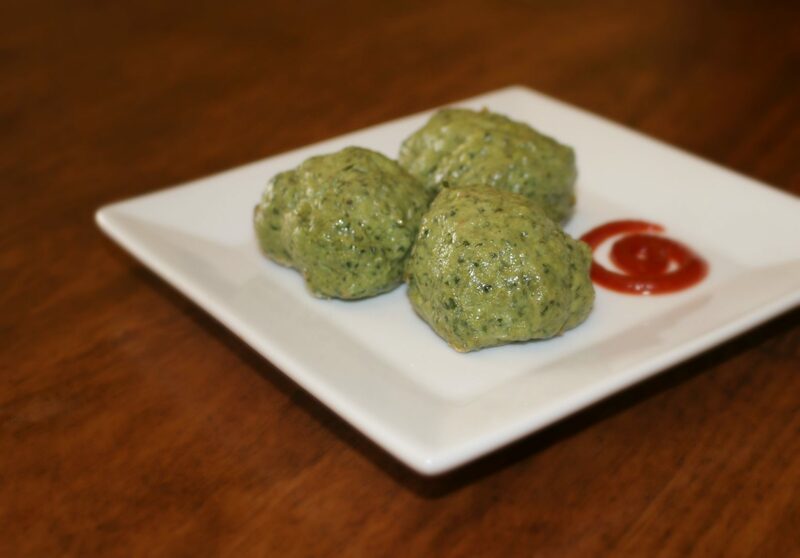 Place the spinach, onion, garlic, and seasoning in a high powered blender or food processor. Pulse a few times. Add the chicken and process until the chicken is ground, but do not let it get too runny. With wet hands, form the mixture into meatballs or patties, whichever you prefer and set on a plate. Heat the coconut oil over medium heat in a skillet and add the meatballs, allowing them to cook for 4-5 minutes, then turn them and allow to cook a little longer, until no longer pink.